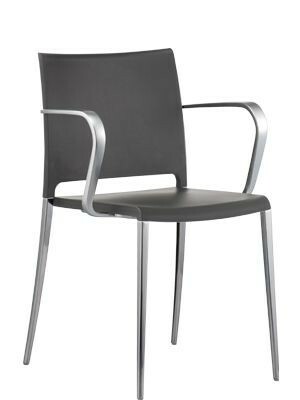 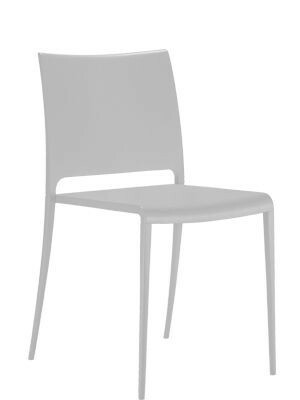 Stackable plastic sidechair with seats made from strong and durable polypropylene. 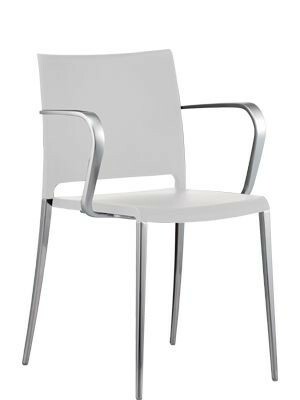 Frame is available in powder( Suitable for outdoor use) or brushed aluminium (Not suitable for outdoor use). Available as an armchair. 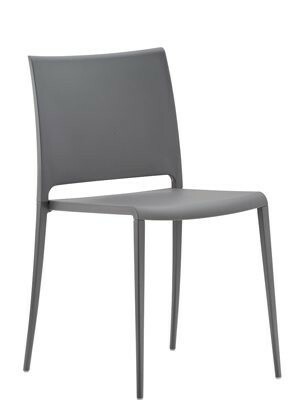 Seat height 460mm.